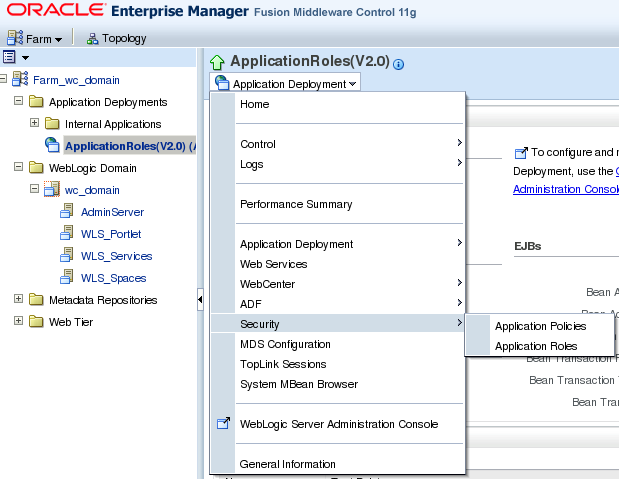 Texas A&M interview on Oracle Enterprise 2.0 Blog. 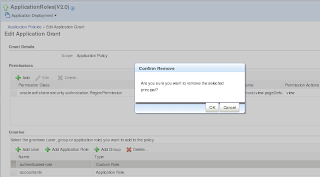 In May, I was blogging about new Oracle product release - BPM 11g. 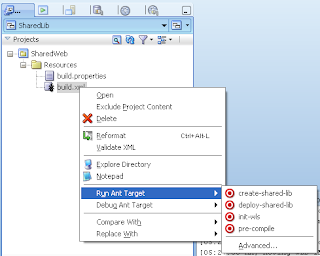 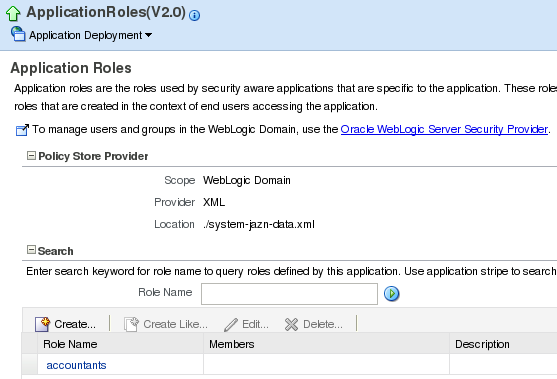 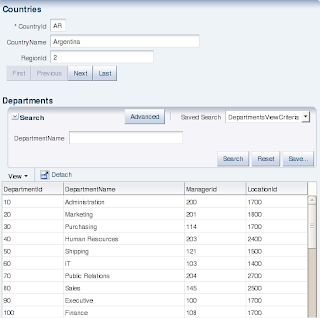 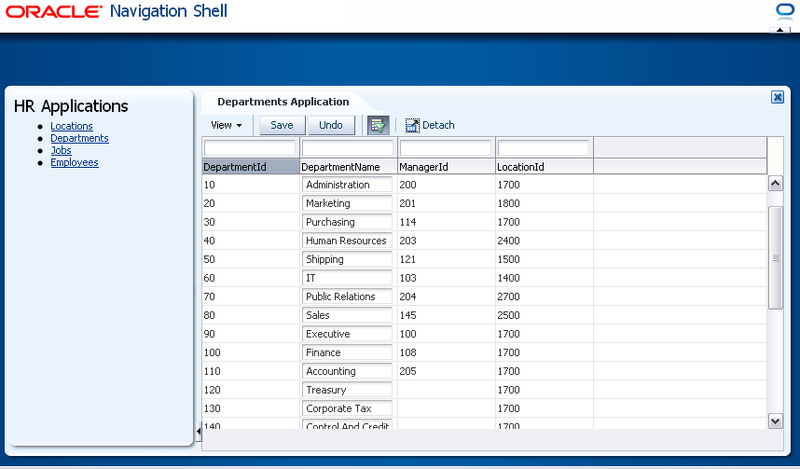 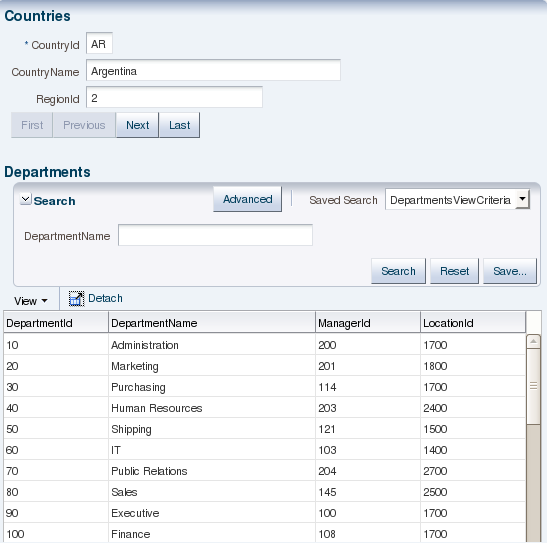 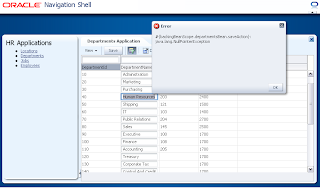 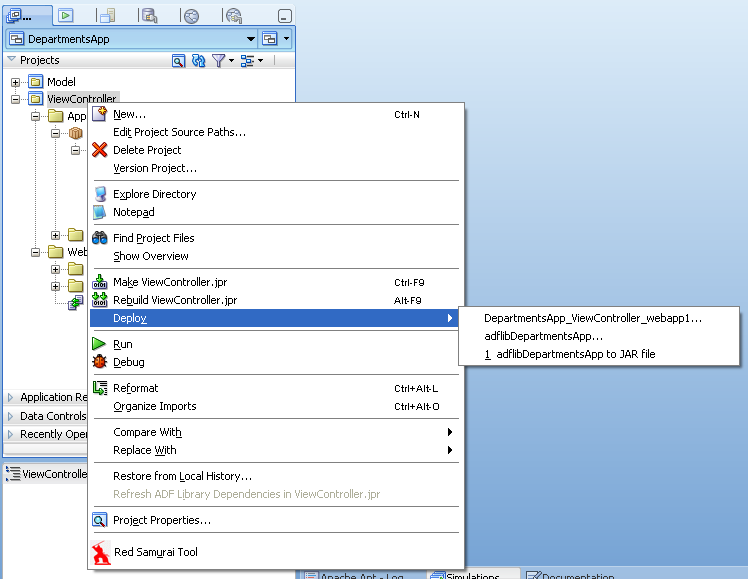 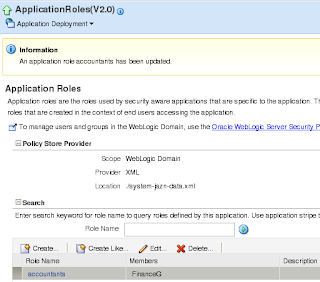 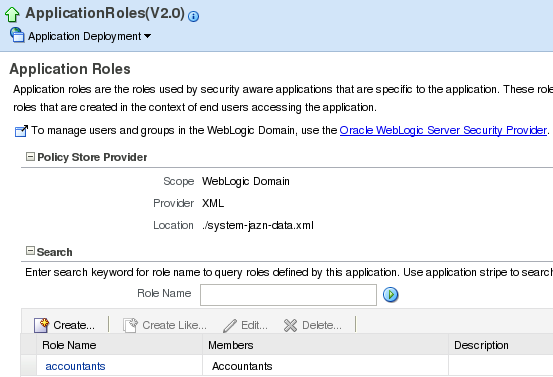 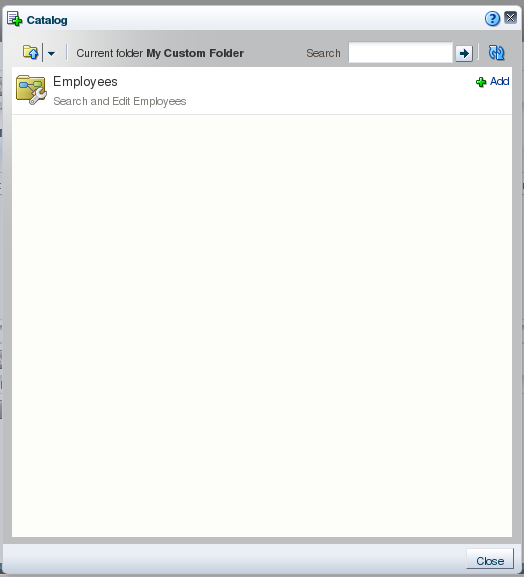 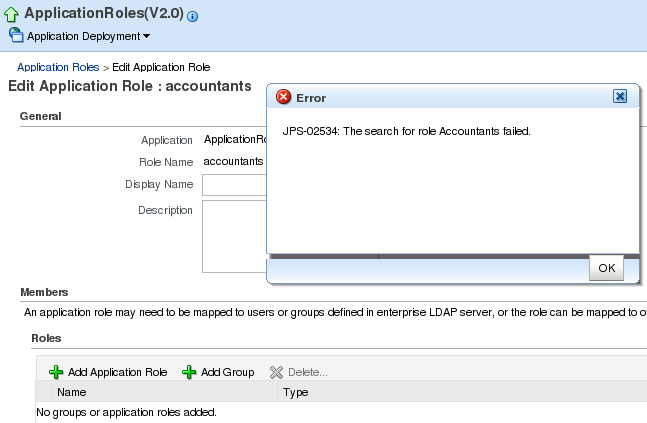 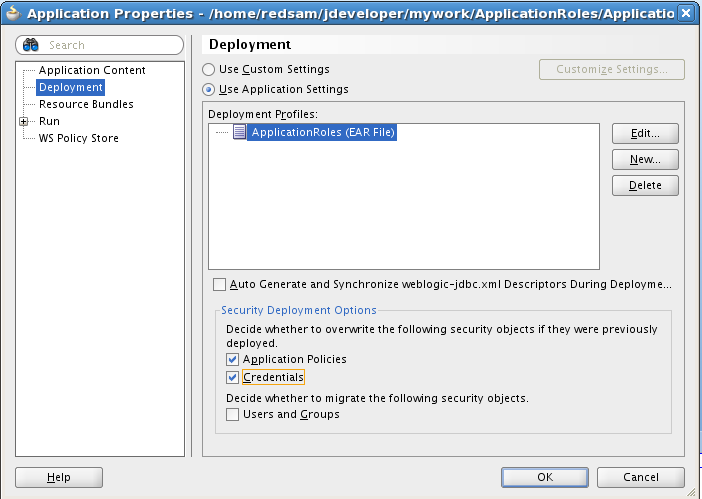 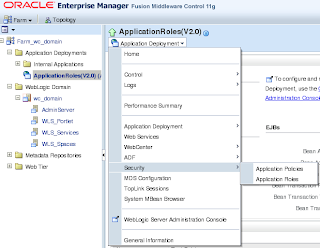 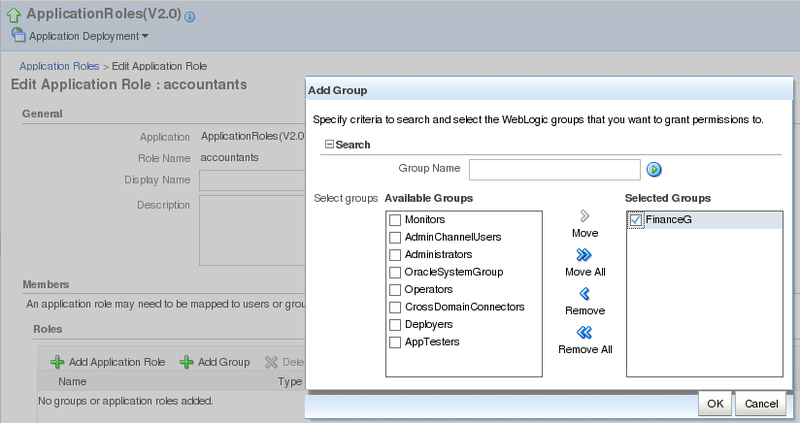 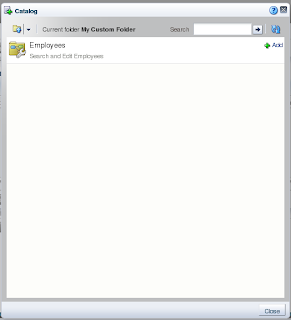 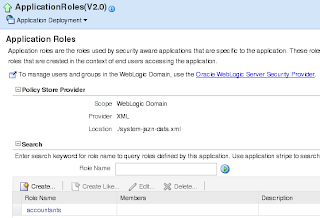 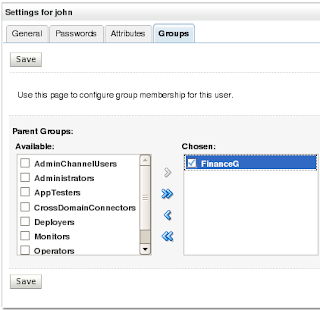 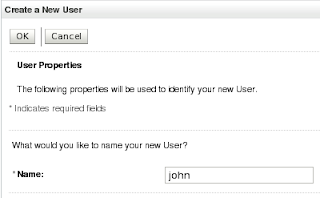 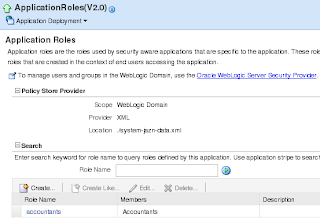 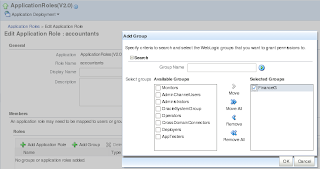 You can check this post - Oracle BPM 11g Integration with ADF and WebCenter Suite. 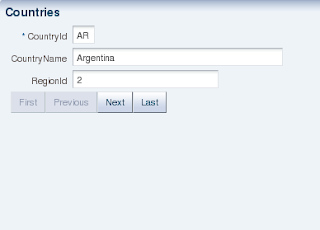 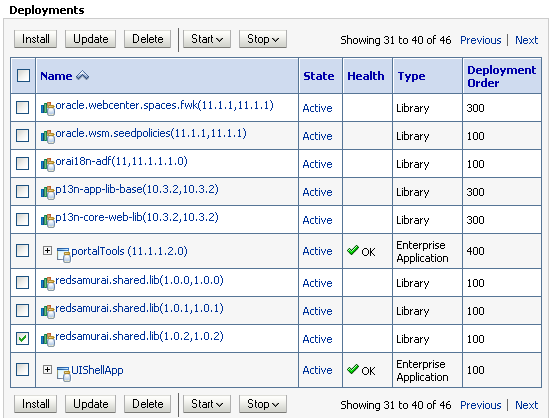 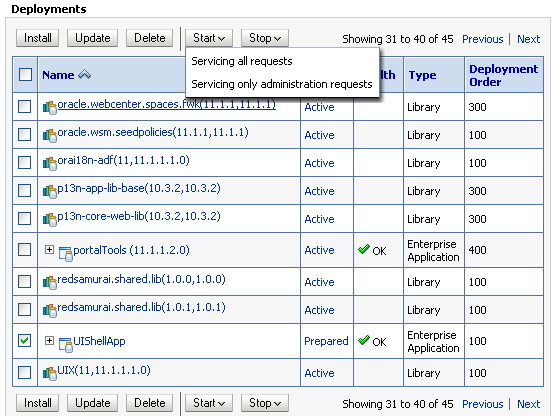 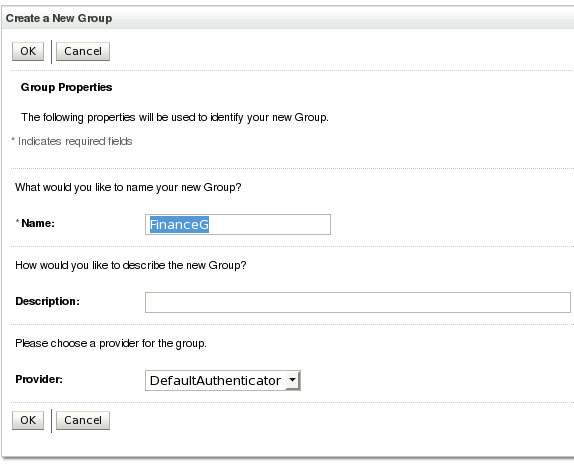 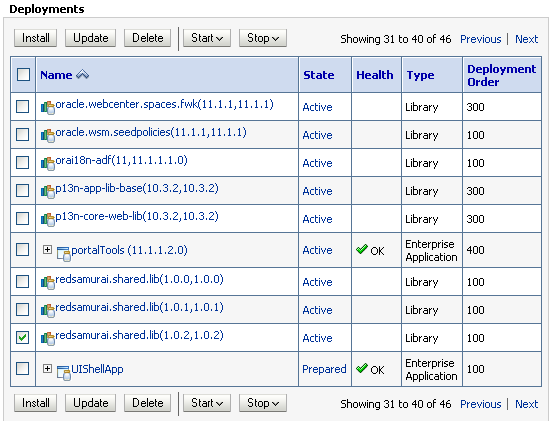 I'm working now in this area and integrating BPM 11g Human Tasks into WebCenter Spaces 11g. 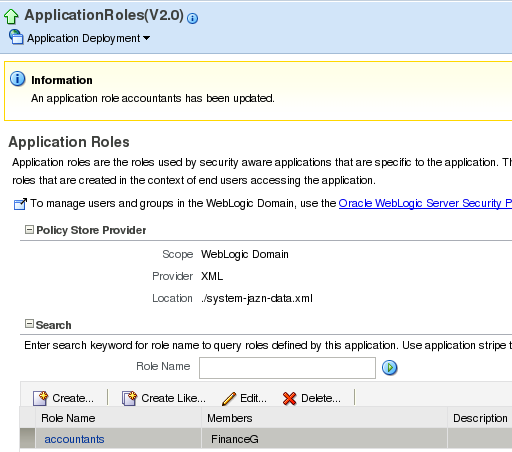 Really good news for BPM people is that now we can create rich SOA type applications, it is possible to bring standard ADF Task Flows and Oracle BPM based ADF Task Flows together into WebCenter Spaces 11g Process Space. Recently I had a long meeting on customer side, to discuss and describe various ADF Security management strategies in production environment. 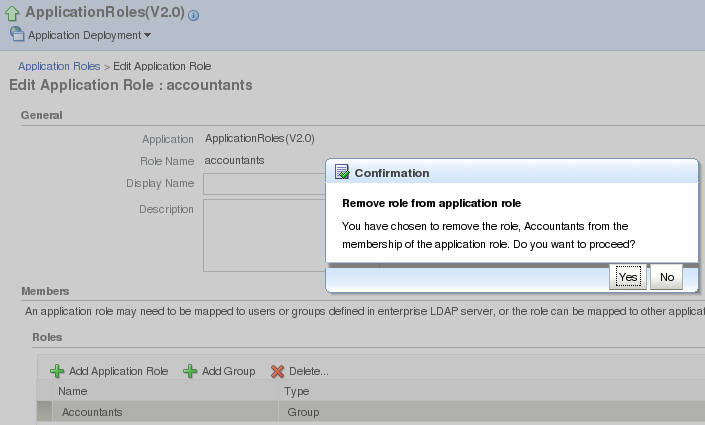 Good news - at the end, everyone left this meeting happy and with correct understanding of benefits given by ADF Security. 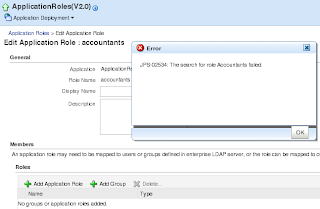 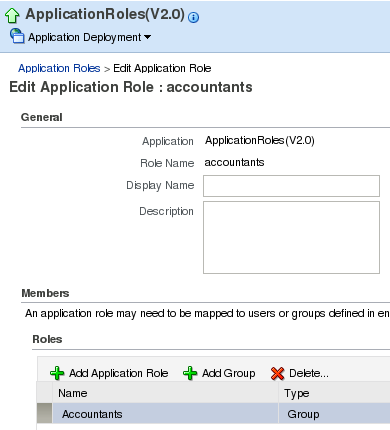 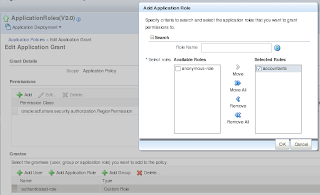 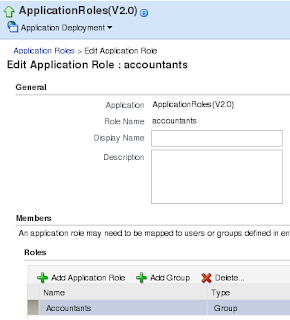 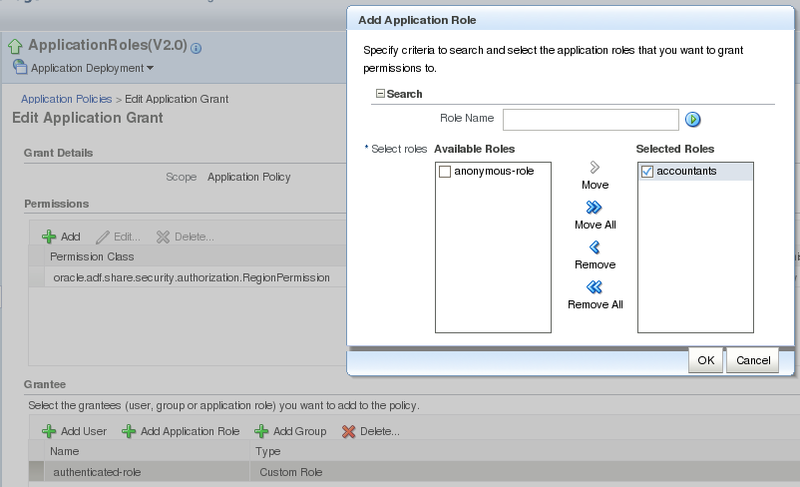 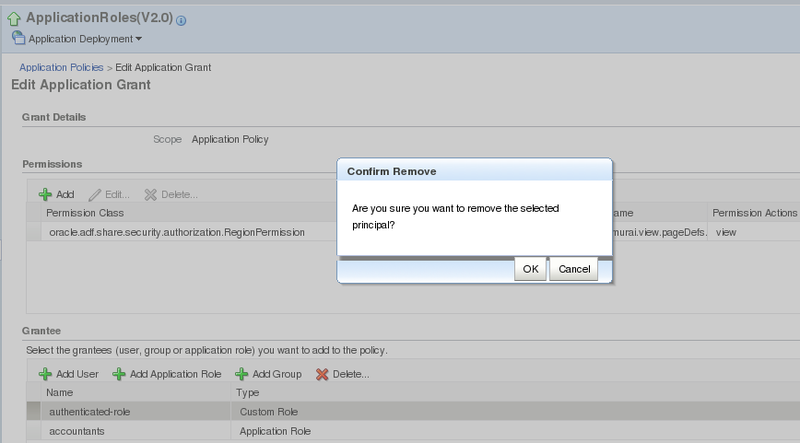 I will describe how you can manage Application and Enterprise security roles, as well as Permissions, after ADF application deployment on production WebLogic server. 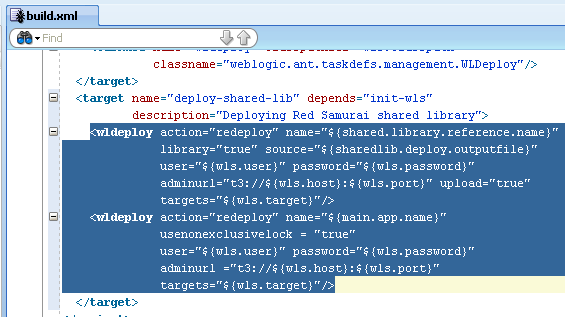 Few days ago I have described how to extract ADF shared libraries from main EAR deployment package into separate WAR library deployment - Deploying ADF Applications as Shared Libraries on WLS. 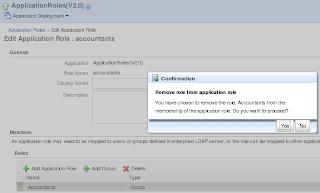 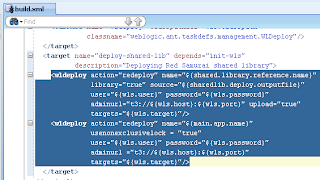 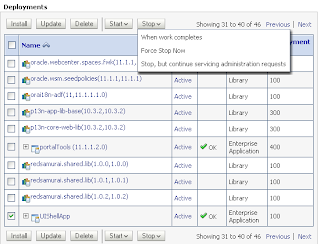 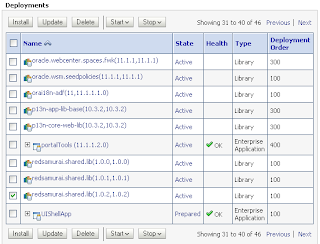 Now its time to tell you, how to redeploy and version ADF shared libraries on WLS. 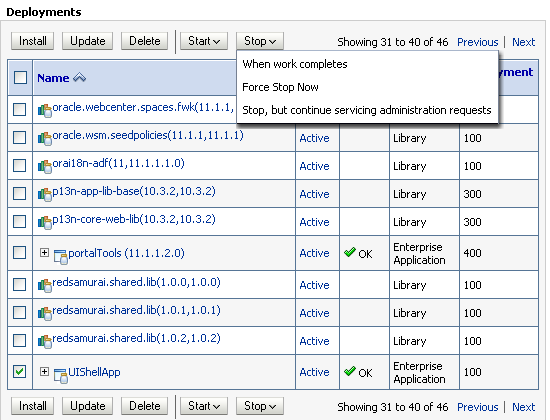 Next blog post will be focused on main site production redeployment. 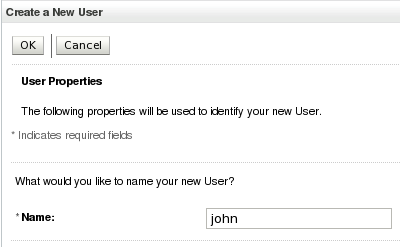 Today I'm describing ADF shared library versioning concepts and why it could be useful in your environment. 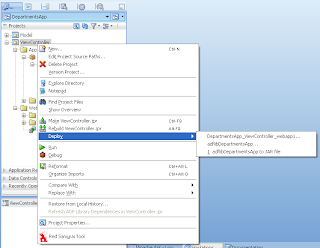 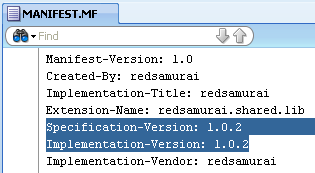 Download sample application with ADF shared libraries deployment and versioning scripts - ADFIntegrationUIShell5.zip. This application is based on developed sample from previous blog post mentioned above. 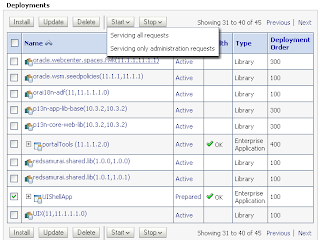 If latest deployed shared library version is stable, you can remove previous versions from WLS. 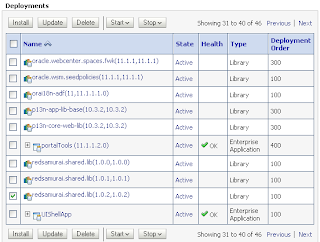 However, it is good practice to leave at least base version always available on WLS.